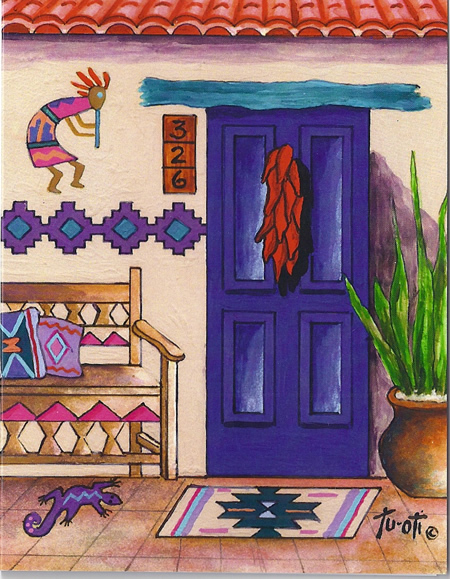 THE BEAUTIFUL SOUTHWEST ART OF GALE TUOTI! "This site has temporarily been shut down. There will be a notice here when the site will be accepting orders again. So sorry for the inconvenience." 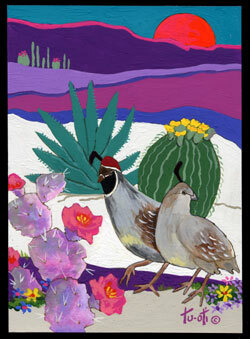 BACK BY POPULAR REQUEST - GALE'S SOUTHWEST TILES WITH A NEW LOOK! 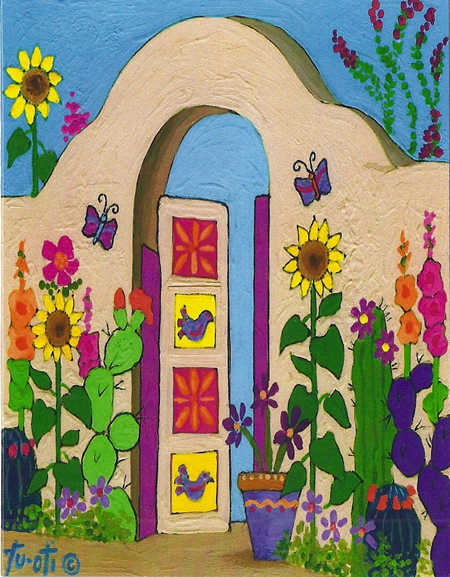 The good news is…you don’t have to pay expensive decorator or gallery prices for vibrant southwest art. 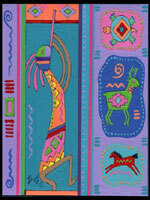 You can transform your home or office into a southwest art showcase yourself! 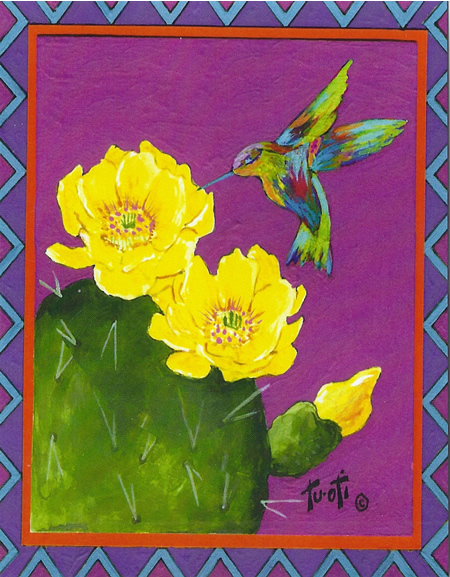 Inspired by the dynamic desert southwest landscape, the art of Gale Tuoti offers an inexpensive way to brighten your rooms with original designs of the Desert, Cactus, Desert Wildlife, Cats, Hummingbirds, Quail, Kokopellis, ancient Cave Art and more! Custom framed art can instantly add a dramatic focal point to any room….so go ahead, wake up your walls and let your style shine through! 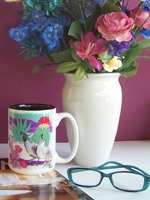 MUGS – NOW AVAILABLE IN ANY DESIGN! 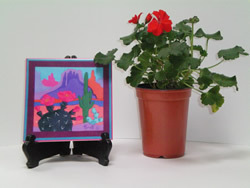 WELCOME to my Southwest Art Gallery where you will find unique, affordable, colorful art tiles, mugs, tote bags and notecards. 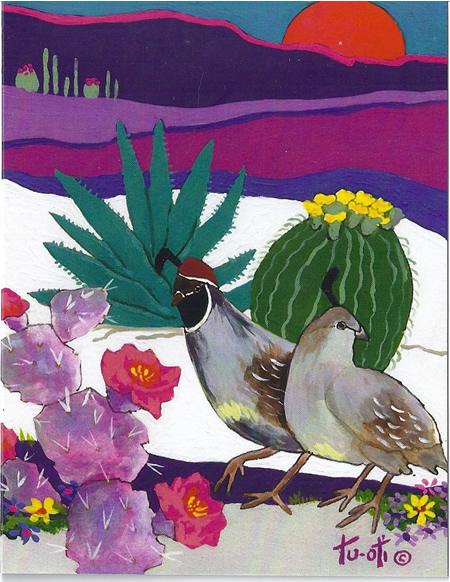 These designs feature the beauty of the cactus, wildlife, and brilliant, stunning colors of the desert landscape and its inhabitants. Thank you for visiting -- I hope you will come back often to see what's new! 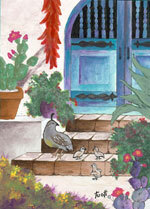 By registering for our mailing list, you will be notified when new art is available. To sign up, enter your email address below and click join.